Galbraith Inverness has released its report for Q4 of 2017, showing a positive increase in performance compared with the same quarter of 2016. There was an increase of 8% in properties sold in the period, with an average price of 345,609. Property viewings increased by 49% year on year, and new buyer registrations were up by 29%. Buyers from England and overseas continued to be active in the market, with 31% of buyers originating from outwith Scotland. We are encouraged to see the fourth quarter of 2017 showed a slight increase in our sales, compared with the previous year. Well sited, good quality property in a desirable location tends to sell fairly quickly, particularly within a 15 20-mile radius of Inverness and in scenic coastal areas such as Gairloch, Achiltibuie and Torridon. The success of the North Coast 500 initiative has increased the profile of this region and Galbraith is delighted to have an exclusive arrangement as the only property consultancy listed on their web site. Our social media presence continues to play a very important part in our marketing strategy. One cottage in the Black Isle had a very high level of engagement, including comments, likes and direct messages within an hour of going on Facebook and such interest often leads to viewings and even directly to sales. The outlook for 2018 is generally positive and with continued investment in the Highlands and a higher area profile, we expect to see steady demand, particularly for properties priced up to 500,000. Galbraith also offers lettings services in several regions of Scotland. In Inverness and Elgin the number of properties let by the firm more than doubled in the fourth quarter of 2017 compared with the fourth quarter of 2016. Demand for rental properties is very strong across the region. In Moray there is a healthy market for properties within easy reach of Elgin. Tenants are seeking well-presented properties which don't need to be refurbished and are in a convenient location and properties of this type let very quickly after we advertise them. We offer a fully managed service for landlords so that they don't need to navigate the complexities of all the legislation introduced in the rental sector. Some firms of solicitors are handing over their properties to us to manage, as they don't want to put all their staff through the qualifications. This has boosted our business. Galbraith as a whole handled the sale of property worth 54.9m in the fourth quarter of 2017, up by 20% on the previous year. An impressive B-listed family home with six bedrooms and four reception rooms. 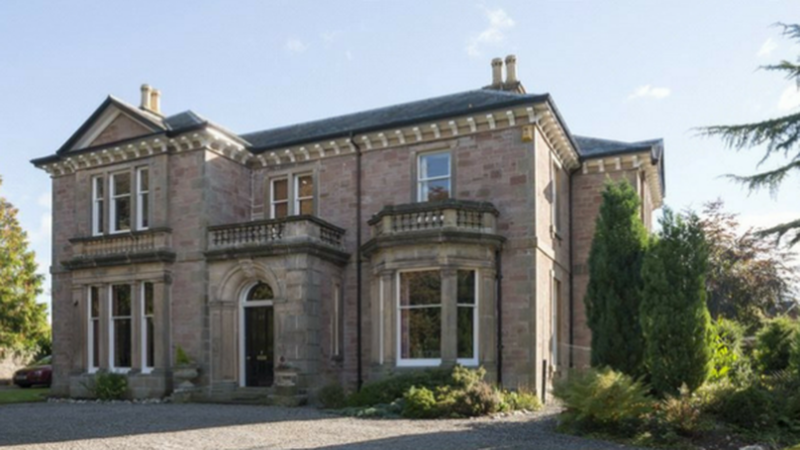 Situated in one of the most prestigious addresses in the Crown conservation area of Inverness. The elegant main reception rooms retain traditional features such as marble fireplaces, tall sash windows, picture rails, and the impressive stained-glass window on the stairwell has been recently renovated. The landscaped gardens extend to about 0.6 acres. A delightful modern family home on the edge of an historic spa village. The property offers the potential for B&B or holiday lets in the self-contained annexe. In a beautiful area, within walking distance of the village and with direct access to Loch Kinellan and way-marked trails. Sea Breeze is a recently modernized 4-bedroom property with spectacular panoramic views across Loch Sunart. The sale includes a stretch of shore frontage from where it is possible to launch small boats and enjoy other water sports on the loch. A deep-water mooring is also included. Sea Breeze is currently operated as a very successful 5* holiday let.